(W) Kate Leth (A) Zachary Sterling (CA) Stephanie Gonzaga. 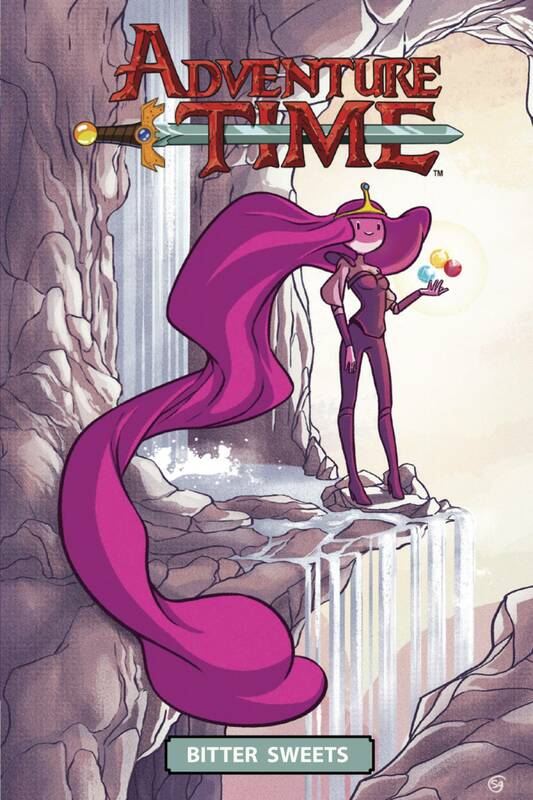 WHY WE LOVE IT: We obviously love the Adventure Time show, and we pour our hearts into the comics. These original graphic novels are extra special because we just love being able to tell a longer story. Plus, we are such huge fans of Kate Leth and Zachary Sterling, who worked on the last AT OGN, so we had to ask them to do a followup! WHY YOULL LOVE IT: Our ADVENTURE TIME original graphic novels are longform stories that play out like an episode of the animated series. Its a selfcontained story, done in one, and all the fun, plus now its in full color. Great if you like our PEANUTS original graphic novels, or fun, allages OGNs like MONSTER ON THE HILL and MAX STEEL. WHAT ITS ABOUT: Its that lovely time of year where Princess Bubblegum gets to leave the Candy Kingdom and venture out into the outer limits of Ooo. But when her annual quest to visit old friends takes a dark and unexpected turn, its up to PB and Peppermint Butler to keep the peace by using the true power of friendship. Written by New York Times bestselling author Kate Leth (ADVENTURE TIME: SEEING RED), and illustrated by the sensational Zachary Sterling (ADVENTURE TIME), BITTER SWEETS is a deliciously twisted adventure with a surprising aftertaste..